Tell me where you were born, where you’ve lived and about your travels, and most probably, I’ll intuit a bit about you. Of course, I don’t know specific details about your life, your favorite color or song, or everything about your culture, but I’ll feel a kinship with you. Now if you tell me you are bi-cultural, a third culture kid like me or you love to travel, and you’re a writer, from my experience there will be a whole lot of nodding and smiling between us after we meet. And I’ll have a million questions for you; it’s natural to gravitate towards people with similar life experiences and sensitivities. Luckily for me, I’m still curious and love learning about different cultures, languages, and traditions. I’m a bona fide sponge (I’m learning Latin phases for my second book and my second tattoo). I adore ancient history and research (vital for a writer of historical fiction); I love meeting new people; and I still travel, which is a huge blessing. My children live in the Washington, DC area and in Thailand (where I hope to visit for the first time this fall), and I have many good friends around the world I’d love to visit with again. Among many things that can enrich a writer’s writing “kit”, travel and experiencing life abroad, whether in person or through books, are right up there in my humble opinion. As an Army brat, a bi-cultural and bilingual (Spanish) kid, my childhood was spent in the United States, Puerto Rico (my love, my birthplace), and in many capitals of Europe. My father is of Polish and Russian ancestry and my mother, born and raised in Ponce, Puerto Rico, was of French, Catalonian, Canarian, and Italian ancestry. I married an Army officer and enjoyed posts in the US and in Europe with many summer vacations spent in Puerto Rico with our children, and after enjoying 13 years living in Belgium and France, I returned to the US in 2006 with my children. 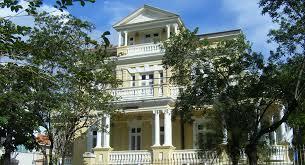 I continued to travel throughout Europe and returned to Puerto Rico to visit friends and family each summer. In 2010, I made a solitary move to Berkeley County, West Virginia (nearly a foreign country to me at first and I’ve been happy here), where I’d hoped to write full-time. I am happy to report I’m still writing full-time in 2019, which is not without sacrifices and many challenges, believe me. I make it work because I can’t imagine not living a creative life. At times, I think I’ve lived the life of five or six people. But, oh the places I’ve been and the people I’ve met through travel, reading, and writing! If you were to ask me about my favorite authors and books, I would say I love reading novels primarily written by diverse authors with diverse characters in their homeland settings, and authors whose novels are flavored by their experiences of having lived in or of traveling abroad. Makes sense, doesn’t it? To me, the language is rich, lyrical, familiar, and there’s nothing like being an armchair traveler while I save up for that next trip. I offer my heartfelt congratulations to all the Finalists of the 2016 International Latino Book Awards, and my gratitude to Latino Literacy Now for their continued dedication to Latino literature and to the Latino community. 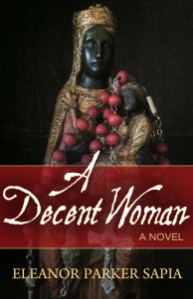 I’m deeply honored ‘A Decent Woman’ was selected as a Finalist for Best Historical Fiction, English. Click below for the complete list of Finalists. Award winning novelist, Eleanor Parker Sapia, was born in Puerto Rico and raised in the United States, Puerto Rico, and Europe. Eleanor’s career paths as an artist, counselor, alternative health practitioner, Spanish language family support worker and refugee case worker, continue to inspire her stories. Eleanor’s debut novel, ‘A Decent Woman‘, set in turn of the nineteenth century Puerto Rico, is published by Sixth Street River Press. The book is a finalist for Best Historical Fiction, English, in the 2016 International Latino Book Awards with Latino Literacy Now, and was selected as Book of the Month by Las Comadres and Friends National Latino Book Club. Eleanor is featured in the award winning anthology, ‘Latina Authors and Their Muses’, edited by Mayra Calvani. Eleanor is a proud member of Las Comadres Para Las Americas, PEN America, The National Association of Professional Women, and the Historical Novel Society. She is a contributing writer at Organic Coffee, Haphazardly Literary Society. When not writing, Eleanor loves facilitating creativity groups, reading, gardening, and tells herself she is making plans to walk El Camino de Santiago de Compostela a second time. She adores her two adult children and currently lives in West Virginia, where she is at work on her second novel, ‘The Laments of Sister Maria Inmaculada’ and thinking about the sequel to ‘A Decent Woman’ titled, ‘Mistress of Coffee’. My quirky, old house in West Virginia is the perfect house for me with one glaring exception: it doesn’t have a fireplace. When I first walked through this 1907 Federal-style house, it had everything on my house hunting check list and the remnants of where a fireplace had once stood. Even without a fireplace, the house had enough charm for me, so I quickly bought it. Although I prefer a wood burning fireplace, I would be more than content with a gas one, but as a full time writer, that’s probably not happening any time soon. If I had the money, there would be wood burning fireplaces in every room, especially in the living room and in my bed room. Luxurious, cozy, sensual, and glorious! My house would then be the perfect house for me. 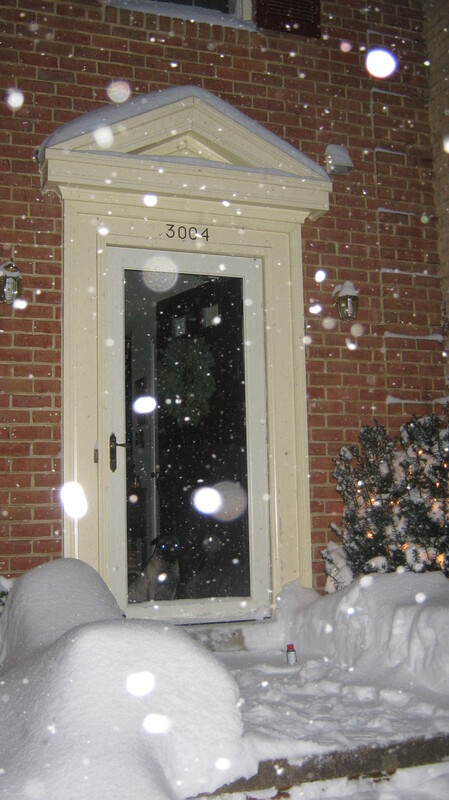 I’d never leave my home, which as it happens, I don’t leave much now; that’s how much I love my cozy home. The period features throughout the house more than make up for only having three miniscule closets, one bathroom with a claw foot tub that drains when it feels like it, and no dishwasher…except for me, of course. 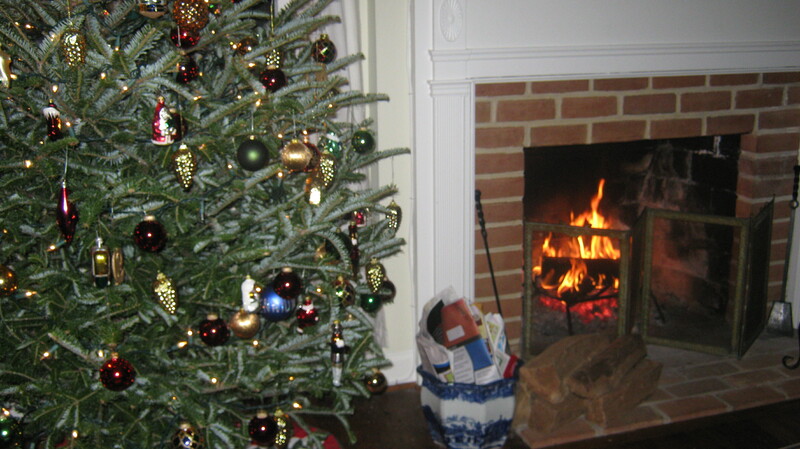 why is a fireplace so important to my winter happiness? I’ve thought about my obsession with fireplaces, and this is what I came up with. Imagine you’re 100% ready for the holidays and the family is out buying last minute Christmas gifts. You are sunk into the world’s most comfortable, cushy, reading chair with good lighting and you’re covered by an incredibly soft, warm blanket. A sleepy cat warms your lap and your dog lies on the ottoman at your toasty feet. 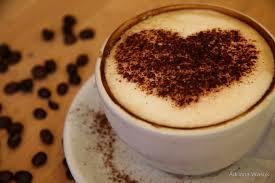 On the table next to you sits a pot of steaming tea, a frothy cappuccino, or a glass of your favorite wine or sherry. As the roaring fire warms your cheeks, you tuck your feet under the blanket and begin reading from your favorite book. 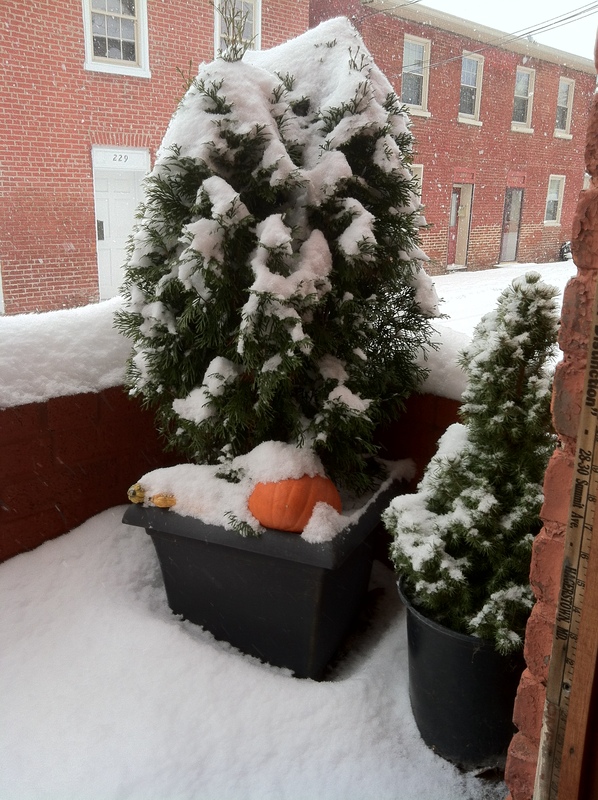 The view outside your window is all about glistening, crystalline, snow-covered trees and mountains against a wintery sunset, and somewhere in the distance you hear the faint sound of church bells. The smells around you fill your nose: orange, cranberry, a light whiff of frankincense, and the incredible smell of a freshly-cut Christmas tree–it just doesn’t get any better than that. A heavenly scene in my book, and speaking of books, I’d like to share three of my favorite holiday books to gift and read during the Holiday season, especially on Christmas Eve. When my children were young, I read this holiday classic to them every Christmas Eve and they read the book aloud on Christmas Eve when they were older with just as much anticipation and joy as when they were little ones. My adult children now have their own homes and I live alone, but I still place this beloved book on the coffee table and read it on Christmas Eve. And every year, I wish for a fireplace! I hope to share this time-honored classic with my future grandchildren and great-grandchildren. There is still something comforting about the illustrations and descriptions of cozy home life when the world was simpler. Yes, I get nostalgic! My Christmas memories take me back, way back to when I used to kiss my sleeping children’s warm cheeks with red lipstick (a kiss from Santa), and sprinkle powdered sugar inside the fireplace and then step in the sugar with my husband’s heavy boots, recreating Santa’s steps to the Christmas tree with his sack full of gifts, much to my young children’s delight in the morning. Beautiful and peaceful days of Christmas past. THE HAUNTED TEA-COSY: A DISPIRITED AND DISTASTEFUL DIVERSION FOR CHRISTMAS by Edward Gorey. I added this gem of a book to my Christmas Eve reads a few years back while searching the Internet for obscure, weird, or little known books written about the holidays. I don’t remember which website I gleaned it from, but the blogger described the book perfectly. If you’re like me and you love Christmas, and weird and interesting reads, this is the book for you. I love it. Let me know what you think after you read it! Noche Buena: Hispanic American Christmas Stories, Oxford University Press. Not much to add to the book’s summary on Amazon; it’s a great book to share with your children and family over the Holiday season. So, what is to be done about my missing fireplace situation? Well, it turns out that I found a very old, beautifully-carved fireplace mantel for under $100 at my local ‘antique’ shop. For now, it lays against the dining wall room wall until I can figure out how to build it out and attach it the wall…like it has always been there. I might even figure out how to build a hearth, too. Then I’ll place white candles of every size inside the opening to read and eat by candlight. Romance is good! And next Christmas Eve, my children’s old Christmas stockings will hang from the mantle, just like when they were young. I will recreate Christmas past from my well-stocked memory bank, and again, I will remember that Christmas is in my heart and mind, not with the material things around me. But hey, I have a vivid imagination and I truly believe that what we visualize will materialize. Let’s see what I come up with. 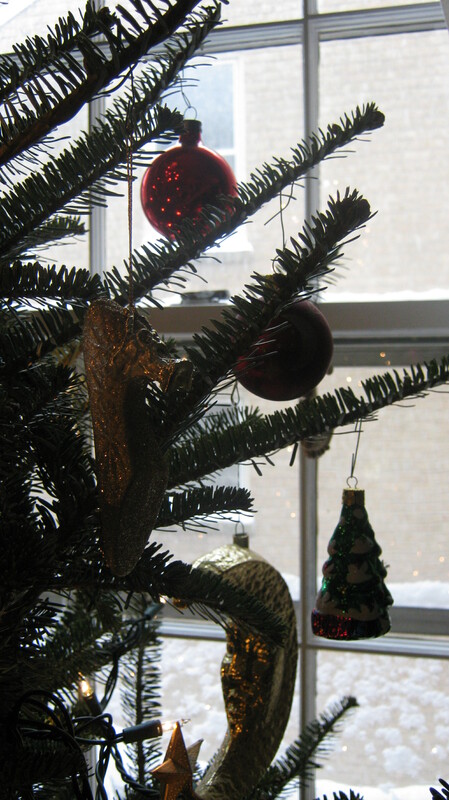 Happy Holidays to you and all my best wishes for a wonderful 2016! Puerto Rican novelist, Eleanor Parker Sapia, was raised in the United States, Puerto Rico, and Europe. Eleanor’s careers as an artist, counselor, alternative health practitioner, Spanish language family support worker, and a refugee case worker, inspire her stories. 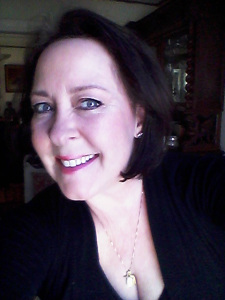 She is a member of Las Comadres Para Las Americas, PEN America, and the Historical Novel Society, and she is a contributing writer for Organic Coffee, Haphazardly Literary Society. When Eleanor is not writing, she facilitates creativity groups, reads, and tells herself she is making plans to walk El Camino de Santiago de Compostela a second time. 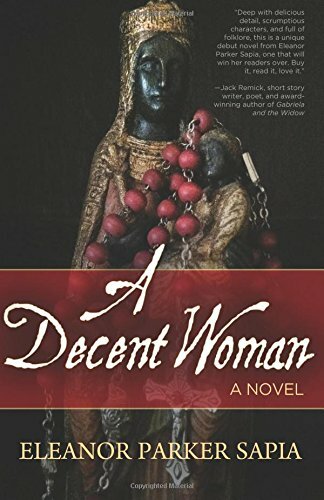 A Decent Woman, Eleanor’s debut novel, set in turn of the nineteenth century Puerto Rico, was selected as 2015 July Book of the Month for Las Comadres & Friends National Latino Book Club, and is listed in Centro Voices, The Center of Puerto Rican Studies, ‘Essential Boricua Reading for the 2015 Holiday Season’. Book clubs across the United States have enjoyed A Decent Woman. Eleanor is featured in the newly published anthology, Latina Authors and Their Muses, edited by Mayra Calvani. Eleanor is the mother of two wonderful adult children and currently lives in West Virginia, where she is writing her second novel and a short story collection. My heartfelt thanks to Paula Loftig at The Review for this wonderful opportunity, and to Anna Belfrage for the gift of her time and this review, complete with period photographs. In 1898, the former Spanish Colony of Puerto Rico became American, this as part of the treaty ending the Spanish American War. 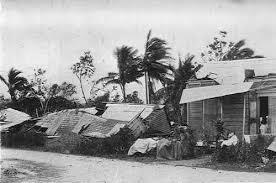 The population of Puerto Rico may have had their own concerns about this sudden transfer of their citizenship, but such concerns were swept away in 1899, when the little island suffered one of the worst hurricanes in history, leaving behind a traumatized population and an infrastructure in tatters. None of the above really play a part in A Decent Woman – except as background. The recent hurricane is the reason why young Serafina is so terrified when yet another storm hits the island just as she’s giving birth. The new American regime, bringing with it modernities such as electricity and educated doctors, threatens the existence of Doña Ana, until recently a much respected midwife. 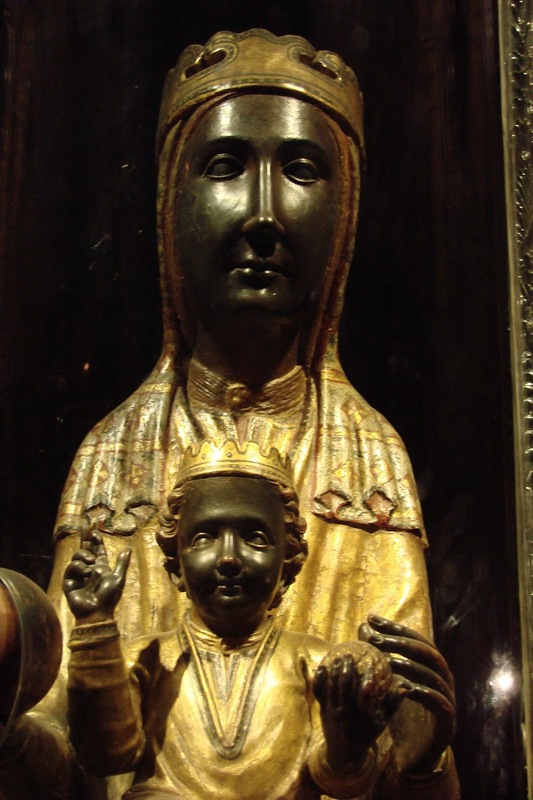 And as Doña Ana has a tendency to hedge her bets by praying not only to the Virgin and the saints, but also to an assortment of African deities, she is also under close scrutiny by the Church. Not a good place to be in, putting it mildly. I enjoy reading books set in unusual places. In this case, Ms Parker Sapia presents us with the humid, tropical setting of Playa de Ponce, a small town just on the outskirts of Ponce – and of Ponce itself, already sliding into genteel oblivion now that the Americans have made San Juan the capital. It rains, it is unbearably hot, it rains some more, storms pass by at regular intervals, causing flooding and damage to the sad collection of sheds that house most of Playa’s inhabitants. Puerto Rico at the time is also a pot-luck of beliefs. People may flock to church on Sunday, but only a fool would ignore those other gods, such as Oyé, Changú and Yemayá. Here and there, rags in various colours decorate the doors, a silent offering to whatever God the colour belongs to. In a world where man is so exposed to the elements, it makes sense to keep all potential deities happy – just in case. The Holy Virgin figures prominently – in a book dedicated to the world of women, it is apt that she does. A Decent Woman is the story of Serafina and Ana – mostly of Ana – who meet when Ana delivers Serafina’s first child during a storm. Ana is old enough to be Serafina’s mother, Serafina has no mother, Ana has no daughter, and in each other they find something of what they’re lacking. Serafina is a Puertoriqueña but Ana is from Cuba, and her past casts long shadows. Ana was born a slave, lived her first few decades as a slave, and was forced to flee Cuba head over heels. Why is not revealed – not initially – and as the story progresses Ana has other battles to fight, primarily that with an intolerant priest and a humiliated doctor. Where Ana is wary of others and generally disillusioned with life – she has lost too many people to risk developing new relationships – Serafina is a child-woman of sixteen, several years younger than her husband. A whirlwind romance ended in marriage, and before she knew it, Serafina was pregnant – one of the good, decent women in this world, those that see their role as wife and mother. But it isn’t easy, coping with a new baby when you’re not much older than a child yourself, and Ana sees no option but to help. Opposites attracts, one could say, with Ana acting the mainstay to Serafina’s initially so exuberant and hopeful take on life. Spanning the first few decades of the 20th century, this is a story about women – from the pampered wives of high society to the syphilis-infected whores. In a time where women had no rights, a single woman was viewed with suspicion, the assumption being that the only way such a woman could survive was on her back. Doña Ana experiences first-hand just how vulnerable a single woman can be – even more so if she is black, lacks a formal education and can’t read. Although Serafina is a married woman, she is not much better off. A wife is at the mercy of her husband’s whims, whether they be to drink too much and abuse her, or keep a stable of mistresses on the side. Sometimes, however, the downtrodden fight back – sometimes, they have to, to survive. Life for Serafina and Ana takes a number of surprising turns. At times for the good, just as often for the bad, but neither Ana nor Serafina have the luxury to give up. They do, however, have each other, despite the differences in age and status. In a setting heaving with tropical heat, with hurricanes and earthquakes, with corrupt policemen and abusive pimps, unfortunate demise and premeditated murder, such a friendship can be the difference between life and death. 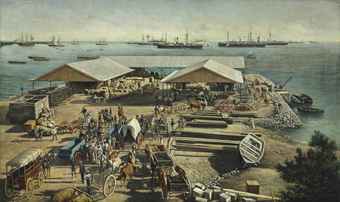 Ms Parker Sapia does a great job of depicting early 20th century Puerto Rico – all the way from the opulence of the mansions of the rich to the various natural catastrophes that regularly sweep across this little island. Both Ana and Serafina are well-developed characters, women it is easy to care for. I do believe the novel would have benefited from a thorough edit – specifically as concerns the time line. There are various occasions when I am jolted out of the story by strange time leaps, such as where one chapter is dated 1915, the next 1917 – but it starts off the morning after the events in the preceding chapter. As a reader, I spend considerable time sorting out these timing issues… Likewise, in some cases the leaps are too long: one moment Serafina is living in marital bliss, the next chapter her husband has a mistress set up in a separate home, behavior which is difficult to reconcile with the amorous and tender husband of just some pages back. All in all, A Decent Woman offers interesting insight in the life and fate of women – not that long ago. I loved the setting, the various descriptions of customs and rites, and having been fortunate enough to experience first-hand the rich Latino culture of Hispanic America, I was delighted to find myself yet again submerged in festivities and traditions that still, to this day, contribute to the fabric of everyday life. Historical novelist, Eleanor Parker Sapia was born in Puerto Rico and raised as an Army brat in the United States, Puerto Rico, and several European cities. As a child, she could be found drawing, writing short stories, and reading Nancy Drew books sitting on a tree branch. Eleanor’s life experiences as a painter, counselor, alternative health practitioner, a Spanish language social worker, and a refugee case worker, continue to inspire her writing. Eleanor loves introducing readers to strong, courageous Caribbean and Latin American women who lead humble yet extraordinary lives in extraordinary times. Her debut historical novel, A Decent Woman, set in turn of the nineteenth century Puerto Rico, has garnered praise and international acclaim. She is a proud member of PEN America Center, Las Comadres Para Las Americas, and Historical Novel Society. A Decent Woman was chosen as July 2015 Book of the Month for Las Comadres and Friends National Latino Book Club. Eleanor is currently writing her second historical novel titled, The Island of Goats, set in Puerto Rico, Spain, and Southern France. When Eleanor is not writing, she loves facilitating creativity groups, and tells herself she is making plans to walk El Camino de Santiago a second time. 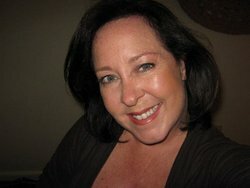 Eleanor has two loving grown children, and currently lives in wild and wonderful West Virginia. 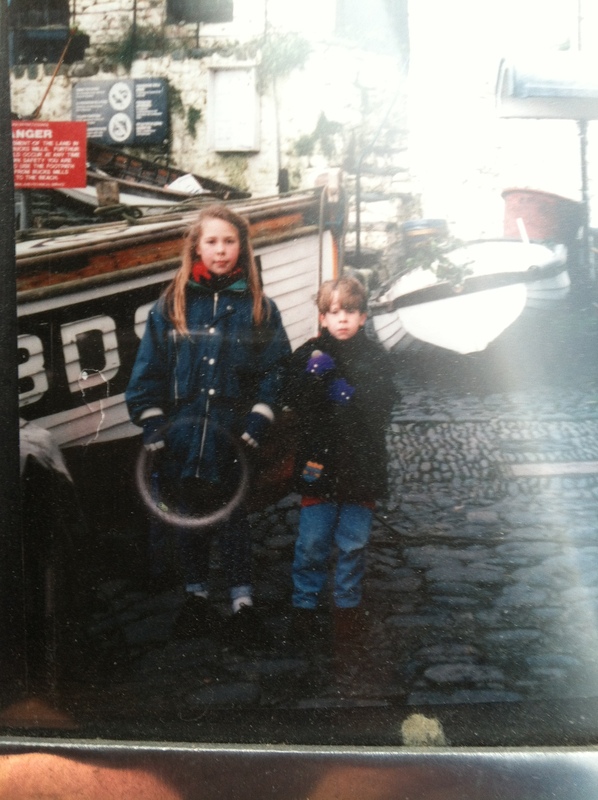 Find out more about Ms Parker Sapia on her Blog! Why Should I Read Your Book? A week ago, I thumbed through my historical novel, A Decent Woman, looking for passages for a three-author book reading, my second reading in New York City. I knew what I had to do–select a few passages from my novel, practice reading, and hope to make it to seven minutes. Sounds easy, right? Not as easy as you might think. Speak slowly, make eye contact, don’t read in a monotone voice, engage with the audience, and try staying within the allotted time so you don’t hog the microphone. Those things I could do…though I still get nervous when I’m handed the microphone. I’m great with Q&A sessions after the reading, but ask me to read from my book and my nerves begin, my cheeks flush. I’ve been the first and fifth author to read–it’s still tough, but deciding which passage to read is a lot tougher. Why should I buy your book? This question kept popping into my head as I read passage after passage of my book. I didn’t know who would be at the book reading, and I certainly didn’t know what would appeal to the audience, so trying to find the perfect passages, something for everyone, was virtually impossible. I knew the themes of my story were important, and who my character was as a woman. But which readings would I choose? 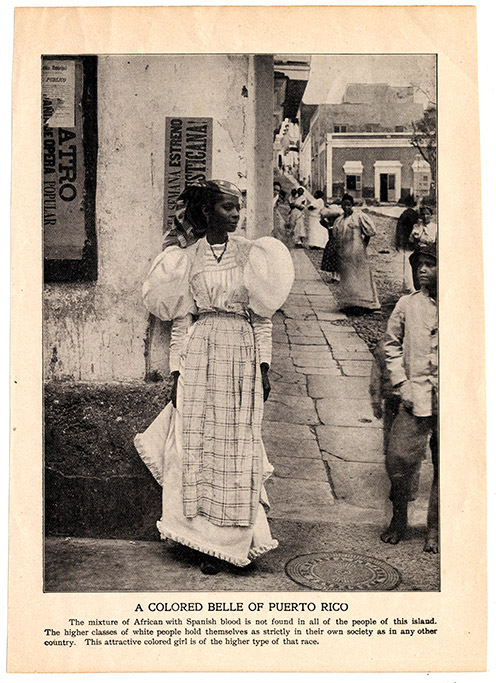 Was it best to select a passage that described the setting, turn of the nineteenth century Puerto Rico, or the protagonist, Afro-Cuban midwife, Ana Belén? Perhaps a passage with beautiful prose and descriptions, showing my writing style and voice? A passage that clearly demonstrated I’d done my research? I settled on three short paragraphs from the Prologue, which describe 1900 Puerto Rico, where the story begins. I set the stage for my audience. I didn’t plop potential readers right smack in the middle of a dialogue between two or more characters they didn’t know. Potential readers need a beginning point, a grounding, and then they will usually follow you anywhere. My friends know to tell me a story with some background or I will stop them mid-stream with many questions. I’ve been to many book readings, good and bad readings. To me, when the author sets the stage with an introduction to the story, a brief synopsis, or by reading a passage that will ground me as a listener–I’m all theirs. The second group of passages I selected were of my protagonist Ana’s inner dialogue, which included a memory of a priest from her past she didn’t care for. The passages described a bit of her personality, her grit and humor, and it showed her distrust of people, mainly men. I made it clear Ana had secrets, but didn’t give away the plot. Leave enough mystery for your reader to want to read your book and find out what happens! The last passages described Ana, standing in ankle-high ocean surf, preparing her ebó, the offering to the Yoruba gods and goddesses for the safe delivery of her client’s first child, and for keeping them safe during a tropical storm that threathened the little house at the edge of the Caribbean Sea. As a former slave, Ana is devoted to the Yoruba traditions of her childhood and to the Virgin Mary, who was introduced to her by the priests of her new parish. This gave the audience a vivid description of Ana, the duality nature of her life, and a few inner conflicts as a woman and a midwife. I have no clue how long my reading went for (my watch stopped), but I felt confident I’d introduced my story, the setting, and my protagonist well enough to stop. And I didn’t want to go over my allotted time so my fellow authors had enough time for their readings. When the event was over, we had fifteen minutes to spare. Lesson learned–buy a new watch. My advice for authors preparing for a book reading: don’t put all your apples into one basket, and certainly don’t pick only the green apples–it’s a delicate balance. Leave enough time to interract with the audience during the Q&A session after the reading. This is a golden opportunity to share with and reach your readers, who love getting to know authors, the story behind the book, and what makes authors tick. Why should I buy that author’s book? Because I connected with the characters, the story, and especially because I connected with the author. Puerto Rican-born novelist, Eleanor Parker Sapia, was raised in the United States, Puerto Rico, and Europe. Eleanor’s careers as an artist, counselor, alternative health practitioner, Spanish language social worker and a refugee case worker inspire her stories. She is a member of Las Comadres Para Las Americas, PEN America, and the Historical Novel Society. When Eleanor is not writing, she facilitates creativity groups, reads, and tells herself she is making plans to walk El Camino de Santiago de Compostela a second time. A Decent Woman is Eleanor’s debut novel, set in turn of the nineteenth century Puerto Rico. The book was selected as 2015 July Book of the Month for Las Comadres & Friends Latino Book Club. Eleanor is the mother of two adult children and currently lives in West Virginia, where she is writing her second novel, The Island of Goats. A Decent Woman is available for Kindle and in paperback on Amazon. Barnes & Noble for Nook and in paperback. Posted on October 8, 2015 October 20, 2015 Categories UncategorizedTags author, author night, authors, book, book reading, book signing, books, books and authors, Caribbean, Caribbean fiction, Cuba, Eleanor Parker Sapia, fiction, herstory, Hispanic American fiction, historical fiction, historical novel, history, La Casa Azul Bookstore, Latin American fiction, Latin American literature, literary fiction, literature, midwife, midwifery, novel, Puerto Rico, thoughts, tips, women's history8 Comments on Why Should I Read Your Book? Historical novelist, Eleanor Parker Sapia was born in Puerto Rico and raised as an Army brat in the United States, Puerto Rico, and several European cities. As a child, she could be found drawing, writing short stories, and reading Nancy Drew books sitting on a tree branch. Eleanor’s life experiences as a painter, counselor, alternative health practitioner, a Spanish language social worker, and a refugee case worker, continue to inspire her writing. Eleanor loves introducing readers to strong, courageous Caribbean and Latin American women who lead humble yet extraordinary lives in extraordinary times. Her debut historical novel, A Decent Woman, set in turn of the century Puerto Rico, has garnered praise and international acclaim. She is a proud member of PENAmerica and the Historical Novel Society. A Decent Woman is July 2015 Book of the Month for Las Comadres and Friends National Latino Book Club. Ponce, Puerto Rico, at the turn of the century: Ana Belén Opaku, an Afro-Cuban born into slavery, is a proud midwife with a tempestuous past. After testifying at an infanticide trial, Ana is forced to reveal a dark secret from her past, but continues to hide an even more sinister one. Pitted against the parish priest, Padre Vicénte, and young Doctór Héctor Rivera, Ana must battle to preserve her twenty-five year career as the only midwife in La Playa. Serafina is a respectable young widow with two small children, who marries an older, wealthy merchant from a distinguished family. A crime against Serafina during her last pregnancy forever bonds her to Ana in an ill-conceived plan to avoid a scandal and preserve Serafina’s honor. What inspired you to write A Decent Woman? I was initially inspired by a tribute I wrote on the occasion of my maternal grandmother’s 90th birthday, and by my grandmother’s stories about her midwife, Ana, who caught my mother, two aunts, and an uncle. I’ve always said Ana whispered her story in my ear. She was an Afro-Caribbean midwife of unknown origins, who my relatives said liked her rum and a cigar after every birth—a very colorful woman. Ultimately, Ana’s story was the inspiration. I wish I’d met her. After writing the tribute for my Puerto Rican grandmother, which included stories about her childhood and adulthood on the island, I realized how much I knew about the daily lives of women in the 1900’s. Through my research, I was further inspired by the extraordinary lives of ordinary women during a complex and tempestuous time in the island’s history. There are many books written about Puerto Rican women’s experiences after leaving the island, but I wasn’t aware of any books in English with stories such as mine, about the women who stayed behind. I wrote what I wanted to read. How do Ana and Serafina relate to each other in the story? In chapter one, midwife Ana Belén catches sixteen-year old, Serafina Martinez’ first child as a tropical storm threatens the little Martínez house. The women immediately bond, especially Serafina to Ana as her mother died in Hurricane San Ciriaco two years prior. Ana is very fond of Serafina, but she is afraid of getting too close to the young woman for many reasons: her childhood as a slave; Serafina’s young age; Ana’s place in society; and because of the secret Ana brought to Puerto Rico from Cuba twenty years before, which if discovered, could destroy all Ana has worked for. Through sharing life experiences, despite their different places in society, and after a crime against Serafina that brings them together in an ill-conceived plan to avenge Serafina’s honor and protect her marriage, the women become close friends, close as sisters. Not only was Ana the young woman’s confidante andcomadre, midwife, they are comadres of the heart. Their friendship continues until the end of the book. What are some of the main socio-economic issues that you explore in this book and why did you explore them? I explored the issues of racism, misogyny, and elitism, as well as crimes against women and abuse within marriage and relationships. I thought it was important to portray life as it was for women of all socio-economic levels—the rich and the poor, white and black, the educated and uneducated. Women suffered abuse at the hands of men at home, in the workplace, and in the street. Women struggled to feed their children and make ends meet at home with low-paying jobs, often going hungry themselves. They fought other women, vying for male attention, which at the time, was the only way a woman could survive in the world—with a man’s protection and money. Consequently, women were pitted one against the other. In some places in the world, this continues. And finally, the US Department of Health sterilized hundreds of Puerto Rican women (more women in later years), against their will and by not telling them what procedures were being done on them. I believe once you know a truth—and this truth, a shocking truth in our history as a colony—you must tell it. If we deny or ignore a truth, it will revisit us. I didn’t and I don’t shy away from the ugly bits of life or the past. The women of 1900 Puerto Rico needed a voice. What do you hope readers will gain from your book? As with viewing a work of art, what the viewer/reader ‘sees’ is subjective. We filter our life experiences through everything we read, hear, observe, and experience, and come to an understanding. We each take what we need and discard what we don’t need in most situations. It’s no different with books. So, it’s tough to say what I hope readers will gain from my book. However, I do hope readers who usually shy away from historical novels will see through my story that people of the past weren’t that different from us. Our ancestors dealt with the same pains, tragedies, and joys in life as we do today. Life was harder, of course, because people had few modern conveniences and fewer opportunities, especially women, and that is still true of many people around the world today. One reader loved that I showed how important women friendships are throughout a woman’s life. I agree. Women should continue uplifting their fellow women when they can. There’s plenty to go around. What inspired you to be a writer? I was an exhibiting artist for over twenty-five years before discovering my passion for writing books. One day, the paint brush and canvas weren’t ‘saying’ what I wanted to convey. I began writing on the dry, painted canvas with a colored pencil. Soon, I wrote personal thoughts and quotes, on the painted images. Words appeared on the side of painted images, around the edges, until finally making their way inside the piece. It was then the little light illuminated in my brain—I needed words as well as paint to tell my stories; to express what I had in my heart and soul. I believe I inspired myself. It was then my inner world opened up, making connections where up until that point, I’d kept separate. After a few years, writing took over, and I wrote the first draft manuscript of A Decent Woman. Looking back, however, I see my artist side revealed in how I describe settings, characters, and objects in my stories; the play or light and color and texture—that all comes from an art background. I now paint to relax, as a reminder that I am a creative person, when inspiration strikes, and when I get stuck during the writing process. Writing has become an obsession, and I am happy when I visit with my old friend, painting. What do you like best and what do you like least about being a writer? I love being alone in my head with my characters, and seeing where they lead me and the story. What I like least is when I must be on social media instead of writing. I understand the importance of social media to an author and love getting to know my readers, I really do, but I much prefer sitting at my writing desk. I came to writing in my late forties—I feel the urgency to get my stories to readers before it’s too late! A few of my favorites are, Gabriel Garcia Marquez, Isabel Allende, Jack Remick, Chitra Banerjee Divakaruni, Milan Kundera, and Cormac McCarthy. I love this question! I’ve always thought A Decent Woman would make a great film. The incredible actress Viola Davis would be perfect to play adult Ana and Selma Hayak as the adult Serafina. For the younger Ana, I would love to see Lupita Nyong’o and Melanie Iglesias as young Serafina. Yes, thanks for asking. I’m currently writing a novel called The Island of Goats, which begins in 1920 Puerto Rico, and moves to the pilgrimage path of El Camino de Santiago de Compostela in Spain, and then to Southern France. It is the story of two young women, Magdalena and Nadya, who will meet and forge an unlikely friendship on the medieval pilgrimage route, while trying to make sense of a new world before WWII. My first published novel, A Decent Woman will always have a special place in my heart, but I am very excited about the second book. And, finally, what do you think is in store for the future of Latino literature? Latino literature has evolved for hundreds of years, and will continue to evolve as Latinos in the United States continue writing culturally-rich stories in Spanish and in English, or begin writing books in genres where there are few Latino writers. I’ve read comments from Latino writers who are tired of reading stories of one more Latino/a drug addict, prostitutes, or another story of coming into the United States. I say just write. Tell whatever story is in your heart. What comes to mind when I think of the future of Latino literature is the need for more Latinos in publishing and more Latino agents, who specialize in Latino literature. It’s difficult for all writers to get published, and my personal experience was that I had an extra hurdle to get over—writing a historical novel about a diverse heroine in 1900 Puerto Rico—not easy to sell, but as it turned out, Ana’s journey has been embraced by readers. I’m glad I didn’t give up, and I still need an agent! I’d like to think that the future of Latino literature looks bright and promising. Thank you for the opportunity to share with your readers. Happy writing to all! A Creative Journey: Nature, Nurture, or Genes? I love reading and writing stories about intrepid souls with unshakable confidence; those characters who pursue their dreams, passions, and adventures despite crazy odds, challenges, and inner demons. Many writers learn and perfect the craft of writing with little regard to the critics, naysayers, and the dreaded, interior censor, which sounds a lot like me. A writer continues the creative journey for years, amidst myriad rejections from literary agents, a few disappointed readers, and publishers they never hear back from. She digs deep into emotional, mental, and spiritual wells, while perfecting the craft of writing, discovering her voice, and finally accessing the dark place where a golden vein hid from her until three in the morning. And at that exact moment, she ran out of coffee. That really happened. I drove to Sheetz in my pajamas, bought supplies, and wrote furiously until the sun came up. A writer, despite all the odds, challenges ahead, obstacles in front, and yes, lurking inner demons, toils night and day for years, and finally hits the perfect vein—the one they believe and pray will bleed gold for their story. So which vein did I pierce when I wrote A Decent Woman, my historical novel, set in turn of the century Puerto Rico? The veins I unconsciously tapped into were my life as a Puerto Rican-born woman, blessed with two rich heritages, Puerto Rican and Polish-Russian, and my maternal grandmother’s veins, which flowed with rich, colorful stories about growing up in Puerto Rico—the same blood that flows in me. I knew my grandmother’s stories by heart, and the character who stood out the most was her midwife, Ana, an Afro-Caribbean woman who smoked a cigar and enjoyed a shot of rum after every birth. This formidable woman caught my mother, two aunts, and my uncle, and through the stories the women in my family told me, Ana seemed larger than life. 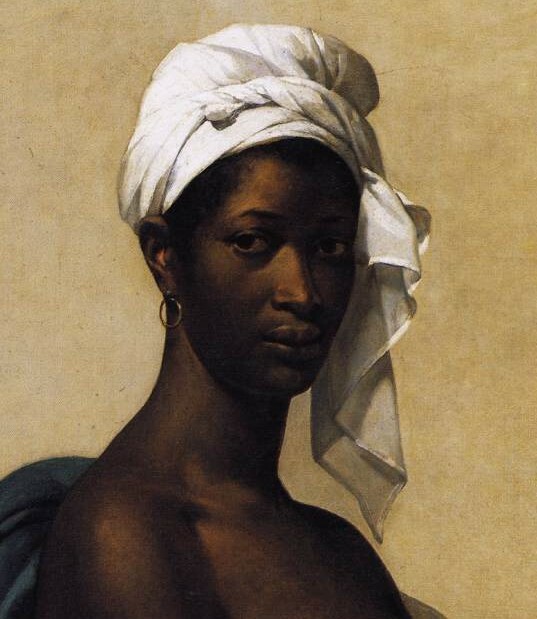 But there wasn’t a lot of information about Ana, so in my story, Ana Belén became a tall, gritty but kind, Afro-Cuban midwife, born into slavery. But who did I think I was writing and inhabiting the body, mind, and soul of a black woman in colonial Puerto Rico? 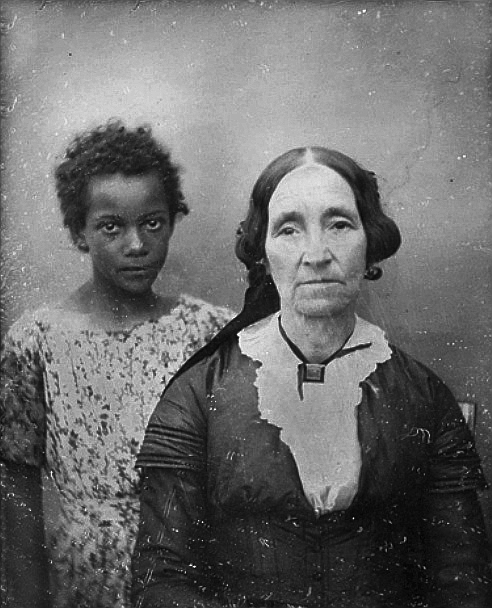 Would readers believe this story written by a white, five foot tall woman with green eyes, who’d only ever been a ‘slave’ to her children during soccer and football season? I’m fluent in Spanish and I still travel to Puerto Rico to visit my family, but could I tell Ana’s story? As a budding writer, I had two things going for me—inexperience and naivety—it never occurred to me that I couldn’t write this story. Ana was a great character and I knew dozens of colorful family stories. In addition to my grandmother’s life blood and stories flowing through my veins, I’d worked as a Spanish language social worker and refugee case worker, a counselor, and one of the staff members of a residential treatment center/school for children. I knew what pain and struggle looked like and I felt the pain of my clients on a daily basis. I also had a love of the mystical and magical world we live in, and a damn good imagination, so I forged ahead, finished the novel, and four years later, it went to layout. Then something and unexpected happened. One of the early readers of A Decent Woman, an African-American woman, called me. She loved the book and during our first phone conversation, she shared her surprising discovery with a hearty laugh—I wasn’t black. I laughed with her because I’d thought that might eventually come up. We laughed a good bit, and I asked my new friend what she thought of Ana. What a beautiful gift my friend gave me that day. I was relieved and encouraged by what I’d heard—A Decent Woman was a believable story and I’d reached a reader on a deep, emotional level. That is what we want for ourselves as writers and as readers—we want to reach others and we want to be moved. Yes, I researched the history of Puerto Rico for years, but a ton of historical information isn’t an historical novel. I had to become Ana with all the information I’d gleaned from research. Her blood had to flow with mine, and it did. It still does. She is a character I will never forget. I encourage you to tap into your life experiences as you write. Take risks. Think of your cultural background, learn about and understand other cultures if travel is not possible, and reach deep to find empathy and compassion for others. Pain is pain no matter where we look or what era we decide to write about, but the story and characters must be believable, or the reader will sense something is off, and possibly close the book. And Lord knows, we don’t want that. I offer my deepest thanks, Tiffani Burnett-Velez for this wonderful opportunity to share my thoughts with you today. Puerto Rican-born novelist, Eleanor Parker Sapia, was raised in the United States, Puerto Rico, and Europe. Eleanor’s work as a counselor, alternative health practitioner, a Spanish language social worker, and a refugee case worker inspire her stories. When Eleanor is not writing, she facilitates creativity groups, and is making plans to walk El Camino de Santiago de Compostela a second time. A Decent Woman is Eleanor’s debut historical novel. She is the mother of two adult children and currently lives in West Virginia.